Disclosure: I was not financially compensated for this post. I received product as compensation. Opinions expressed are my own. 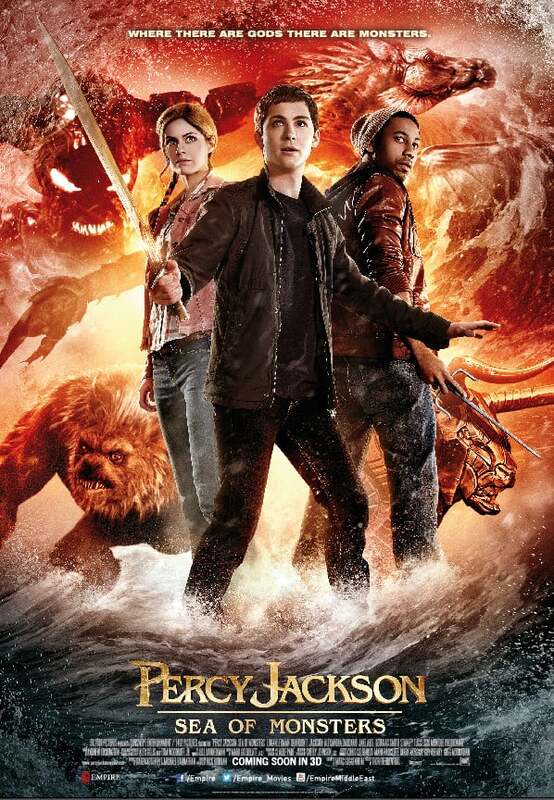 Percy Jackson: Sea of Monsters is coming to theatres on August 7, 2013! After watching the trailer below, I’m very excited to see this movie! I think it would be one that my girls would enjoy too. We love fantasy adventure! Starring Logan Lerman, Brandon T. Jackson, Alexandra Daddario, Jake Abel, Douglas Smith, Stanley Tucci. Connect with Percy Jackson: Sea of Monsters on Facebook, Twitter, Instagram, YouTube and Tumblr. I think my son would enjoy this movie. It’s nice to have some options other than animated movies to see with him. Not my type of movie but I am sure my nephew would love it. Thanks for sharing your review. Nice!! I think my son is a little too young for this yet, but I would Probablt enjoy it. Looks like a pretty adventurous suspenseful movie. Thanks for the review! This would be a great movie for my grandchildren to watch and I would enjoy it too. I just love this type of movies and this one looks really good. Not so sure this one would be good for my nephew. Thanks for the review! I can’t wait to watch this with my husband and grandkids! We actually just saw the first Percy Jackson movie! We enjoy movies like Percy Jackson — a great family activity! That looks too creepy for me! My son has read the whole series of books and can’t wait for this movie. My family and I can’t wait to see this here in the Philippines! 6 more days… yay!! My son loves the book series and enjoyed the first movie, so we will be excited to see this one.